A 32-year-old construction worker suffered a severe leg injury Friday afternoon when the piece of machinery he was working in flipped and came to rest on his leg. The call came in at about 3 p.m. from 400 Cleveland St. downtown across from the Harborview Center. The worker for Earth Friendly Construction was on a piece of machinery similar to a Bobcat when the accident happened. 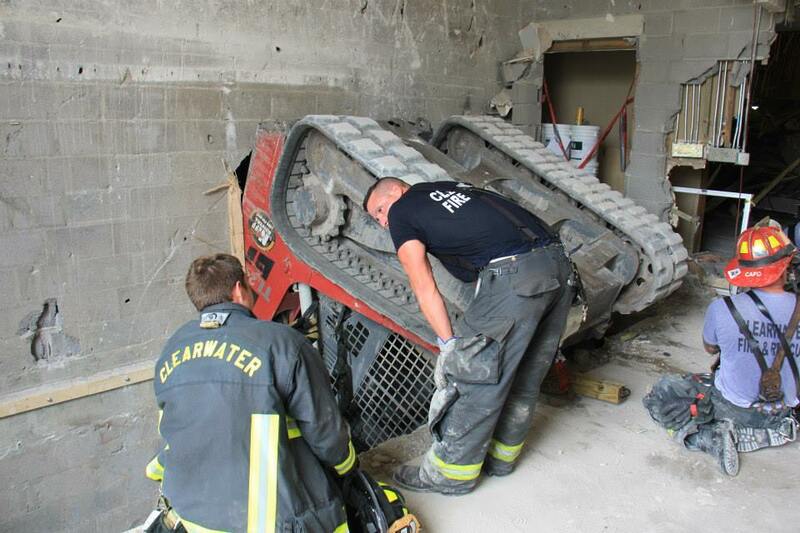 The vehicle flipped into an open elevator shaft and came to rest upside down on one of his legs. 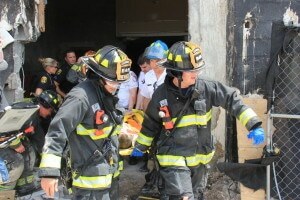 His leg was trapped between the vehicle and the concrete wall of the elevator shaft. The Technical Rescue Team from Clearwater Fire & Rescue had to be called in for the rescue effort. They worked to stabilize the huge piece of machinery and then slowly lift it off his leg with the help of special air bags. The man, who lives in Brooksville, was taken by helicopter to Bayfront Health St. Petersburg. He suffered a severe lower left leg injury. The building at 400 Cleveland St. is a former bank building which is now empty. Previous articleDetectives are Asking the Public to Help Identify a Burglary Suspect.